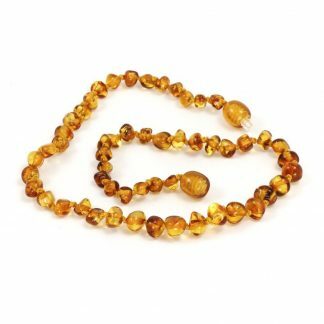 Momma Goose’s Baltic Amber Teething Necklace in Baroque Cognac is pretty and stylish. 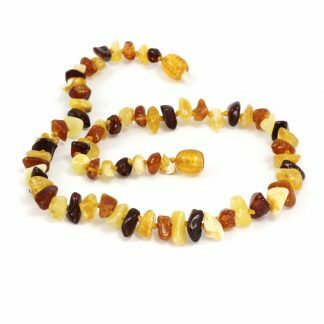 With hues of yellow and golden molasses, this amber teething necklace for babies offers natural pain relief for teething babies. 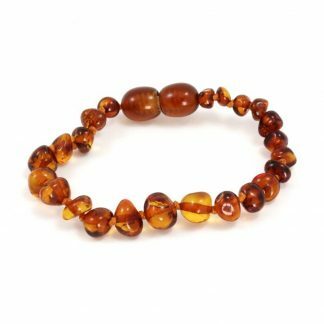 Amber is fossilized tree resin that contains succinic acid, which offers anti-inflammatory and analgesic properties when released into the skin. For a teething baby, when wearing the amber necklace against the skin, your baby’s body heat causes the amber to releases succinic acid, which gets absorbed into his skin and provides pain relief naturally and a reduction of gum inflammation. 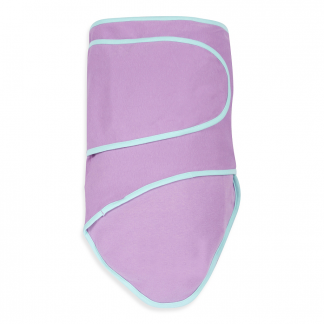 Think of succinic acid as a natural pain reliever – a natural Advil or Tylenol that blocks pain and reduces inflammation, so your teething baby will feel much better. 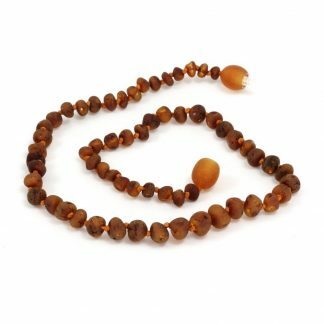 Momma Goose necklaces have safety features to give you peace of mind. Each bead is individually knotted on the string, so that if your baby were to break the teething necklace, only one bead would go free. 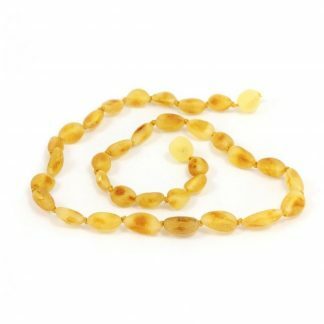 The plastic clasp at the back of the necklace is also held together by knots. 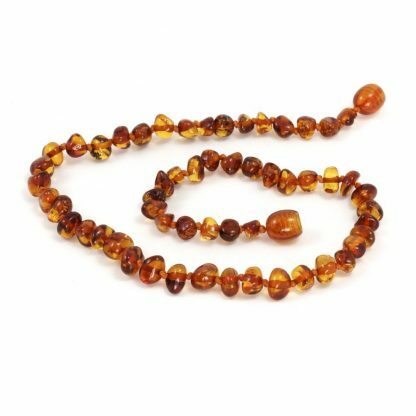 This ensures that if there’s enough pressure on the necklace, the clasp would break. 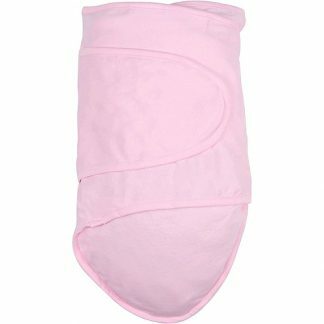 The beads are also very small (smaller than a pea), so there is no choking risk.